The Help is one of the biggest films of the summer. But the beautiful movie isn’t one of those adaptations that lives a separate life from its source material. The movie is directed by the childhood best friend of the author and based on her book inspired by her childhood about a woman who writes a book inspired by her love of the woman who raised her. It’s not a movie you can take out of context. Katheryn Stockett took a lot of heat just for writing The Help (a strange notion in context of the heat her character Skeeter and her subjects Minnie and Abilene get for writing the book “The Help” within the book The Help) and to think of Tate Taylor’s film as somehow unburdened by that history takes away a lot of what makes The Help special. As such, senior contributing author Rachael Nisenkier (an author for both My Cinema and My Bookshelf) has written her film review as a companion piece to her previously published book review. You’ll find both pieces here, published together in our efforts to capture all that The Help is. 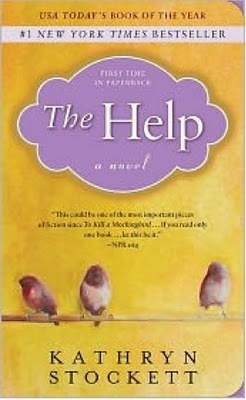 When I was asked to throw a few thoughts out there about the movie adaptation of the best selling book The Help, I was originally reluctant. All I can say about the beauty of this story I already said when I was reviewing the book (see original book review, below). But given that this film has been sitting atop the Box Office for three weeks, I think it’s worth pointing out just what this movie adaptation did right and wrong. First off, you have the casting, which is across the board fantastic. Emma Stone does not look like the Skeeter I had in my head, but I’d be remiss to complain about the adorableness of her curls in contrast to what was supposed to be Skeeter’s un-tameable mane. Stone gets the heart of Skeeter, the awkward kid determination to do the right thing and the naïve white girl inability to grasp the risk these women are taking. Any aesthetic differences mean nothing in the face of that. Same with Bryce Dallas Howard and Octavia Spencer, who bring to life the deplorable Hilly Holbrooke and the spirited Minny Jackson (respectively). But at the end of the day, there’s one woman whose casting was essential to making this adaptation work. And enough cannot possibly be said about the genius who cast Viola Davis in a role she was much too young to play. Her heartbreak and hope, bitterness and love fill every scene she’s in. It’s almost stunning to see her subtle work here, allowing us a brief glimpse into Abilene’s awakening. The movie (and to an even greater extent, the book) is Abilene’s story, and Davis inhabits her with a beautiful grace. The movie isn’t perfect. I’ve read a lot of criticism of the racial message embodied here, and while I think a lot of it is written by people who haven’t actually watched the movie yet, I think part of that blame can be laid at the feet of the film’s desire for simplicity. The world of Jackson becomes much more clear cut in the film, minimizing the spectrum of maid/white lady relationships into a much easier bad/good dichotomy. And I actually think Skeeter’s journey is short changed here; we don’t get to see a lot of the bad that happens to the character in response to her decision to go into the business of writing down other people’s business. But honestly, it’s hard to complain about this movie. It does a great job of making palpable the fear of retribution, earning it the joyful ending that the film builds to. In a nice contrast to many box office success stories, The Help is the rare film that earns all of its goodwill and success. I am happy to admit I indulge in the time honored tradition of hurrying to read a book before a movie comes out. I’d like to think that I DON’T do this just so I can sound smart and say things like, “Well, yes the movie portrays her angst in a very visual way, but it loses the books subtlety in representing her ennui” (which, is, for the record, what I imagine to be a stupid thing to say about a book-turned-movie). I’d like to think that I do this because I love stories, and prefer to visualize them in my own head before I see them on screen. But it’s possible I’m just kind of a tool. Anyway, in anticipation of the new Emma Stone vehicle that had me tearing up every time I saw the trailer, I decided to read The Help. I’m a sucker for southern-fried racism stories, and enjoy a good plucky women overcome stereotypes yarn. In my summer-induced boredom, I plunked my behind down in the middle of Barnes and Noble and started reading. Six hours later (yes, I sat on the floor of a Barnes and Noble for six hours, I don’t have a real job, screw you), I closed the book. In a summer filled with epic fantasy, this simple tale of three different women figuring out the central thesis that underneath our skin color we’re all just people had me epically gripped. The book tells the tale of Abilene, Minny and Skeeter. Abilene, on first glance, seems like the type of subservient black women you see in the background of Gone With the Wind or old society comedies starring Katherine Hepburn. She’s raised 17 white children throughout her career as a maid in Jackson, Mississippi, and until the death of her son recently didn’t question the status quo that forced her to drop out of school in seventh grade and spend the rest of her life raising and falling in love with the same children who would be her oppressors ten years later. Minny is full of sass. She can’t stop her mouth for anything, and so she can’t keep a job. She has a husband who beats her and whole gaggle of kids to support. She has a lot of opinions, about everything, and a heartbreaking life story. And Skeeter is a gawky, awkward old maid at the ripe old age of 23, wanting desperately to break out of her society girl upbringing but floundering at how exactly to do that. 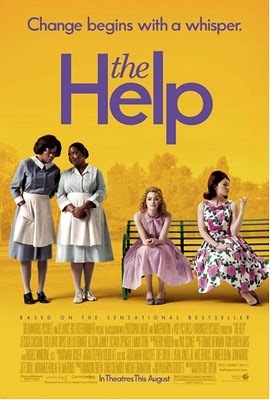 When I first saw the preview for the movie, I thought The Help was going to be one of those stories, where either a white gal wanders in and saves the impoverished black women around her or where the black characters serve solely as lessons for the book’s white protagonist. Neither is the case. In fact, all three characters are well developed, fascinating women with their own problems and their own agency. They each support each other and change each other’s viewpoints about race and love, and they all have to perform their own salvation in order to reach the end of the book. Not a one of them (or the supporting characters in the book, for that matter) serves only as a prop in someone else’s story. This is the book’s strongest point, I can’t stress enough just how unique it is within the genre (see also: The Secret Lives of Bees). I can’t speak to how accurate the book’s portrayal of 1960s racial tension in Jackson is, but I can see that author Kathryn Stockett makes the problem feel visceral. Despite having seen the upbeat looking commercials for the film, I was deeply worried for the characters throughout the book, and deeply invested in not only their survival, but in their capacity to overcome what seems insurmountable. I don’t know whether the movie will allow me to wax pretentious about book-to-screen translations, but I do know that with a story as good as The Help, I hope they change as little as possible.